You feel you have a unique understanding of a subject domain. You also feel that you can effectively communicate your expert knowledge through an online video course. But, however, you do not quite know how and where to get started. Here at VdoCipher we assist E-learning video providers to securely host their online video course. We bring for you a step-by-step guideline on how to conceptualize and produce your E-learning course. Defining objectives – This step involves creating a course outline, specifically to decide how you are going to present the content towards achieving the course goal. 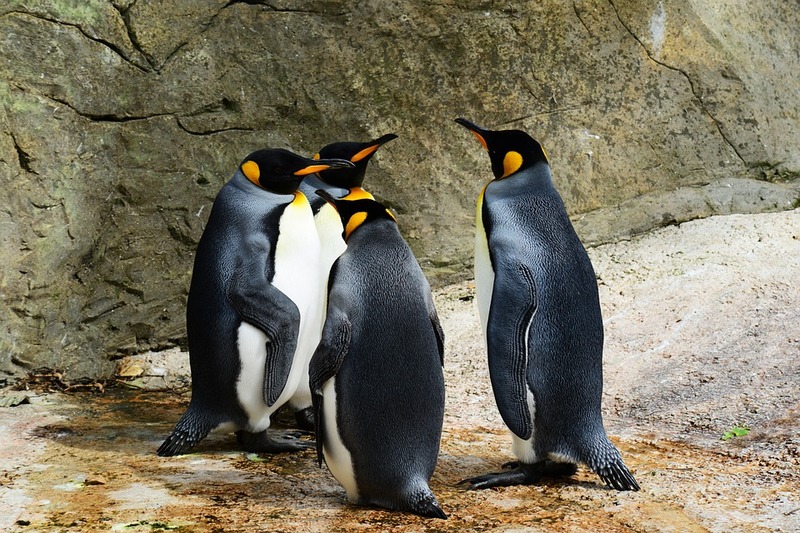 Creating assessment criteria – How does the course align with the different targets that an e-learning course must satisfy. Learner assessment criteria include knowledge retention, attitude towards newer material in the discipline, and problem-solving skills. Understanding the importance of each of these three targets is critical to design of your online video course. For example if the course objective is to enhance workplace collaboration, the assessment criteria should be target based. It is very important to first develop a course outline before beginning production on your online video course. The course outline is very important in bringing all stakeholders involved in the course production on the same level. 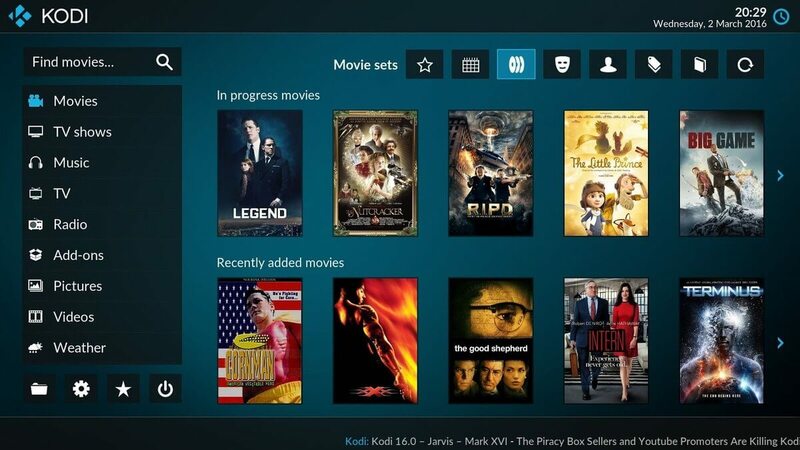 This ensures that all the scripting and production efforts go smoothly subsequently. The course outline may get updated multiple times, as more feedback is received from people involved in your course. The process of storyboarding involves considerable time and effort, and sketching an outline is necessary to ensure that this process goes smoothly. Storyboarding is the process of graphically organizing your video content for the purpose of pre-visualizing the e-learning video. Storyboarding is a great way to organize ideas, and to ensure that the visual and audio forms you use will be effective in communicating your course in a logical manner. 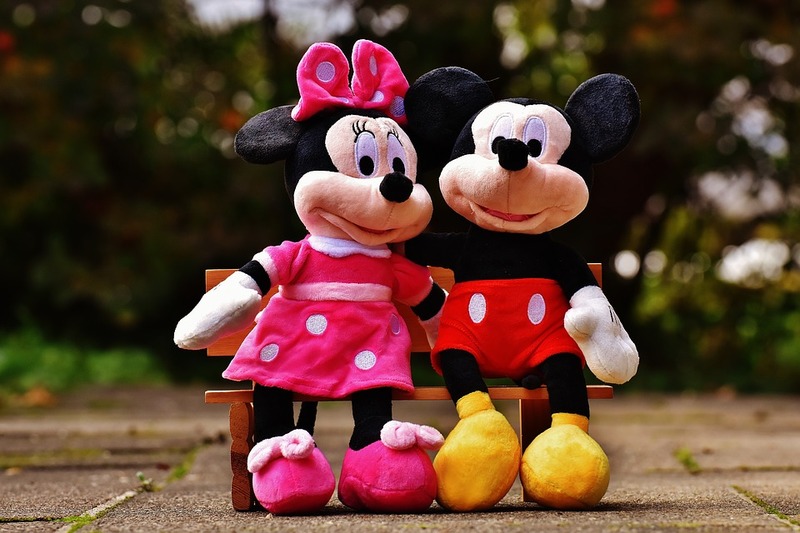 The term storyboard comes from movie production, and the process was most prominently used by Walt Disney in the 1930s. It is a great way for you to organize your ideas, and to make sure that your ideas are communicated to your audience in a logical manner. For this reason having a carefully designed is crucial to making a quality online course video. 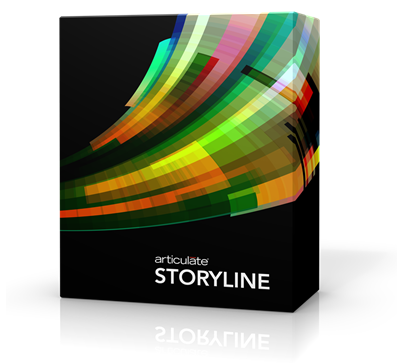 Use storyboarding to sketch your online video course. Storyboarding is distinct from a script in that it is a graphic sketch of the course progression. During the storyboarding stage you decide the visuals for your online course video, and accordingly write your final script to correspond to the visual sequence designed. Storyboarding is essential for scriptwriting in that it decides the visual sequence that the script has to be in sync with. Using storyboarding, as a course designer you can evaluate multiple scenarios for creating your online course video. Through this means they can understand better at what points during their content creation they should be adding interactive features for a more active response from learners. 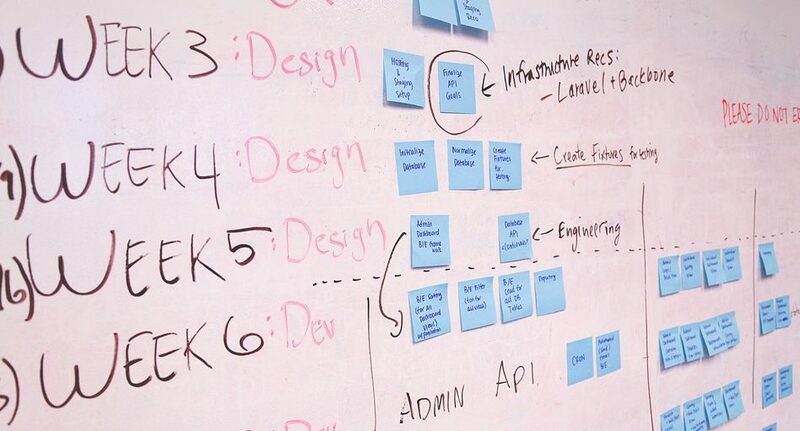 Storyboarding is the first step in creating a simulation of your course, so that everybody in the development team can come together on board. You can sequence instructions, and document changes conveniently using this method. One tip when you start your course creation with storyboarding is that you should show the most engaging part of your video course first to the learner. This is useful in hooking their attention. This may be an illustration of the course objective, or could as well be interesting applications of the course. Showing the learners highly relevant and interesting content at the outset is a great way to ensure active learning on the part of learners. Online Authoring Tools enable you to integrate different media to bring together content for training and education. A good authoring tool would give you a means for creating your online video course, ensuring that you succeed in making engaging and interactive e-learning content. Authoring tools provide a comprehensive solution for the different stages of online video course creation. 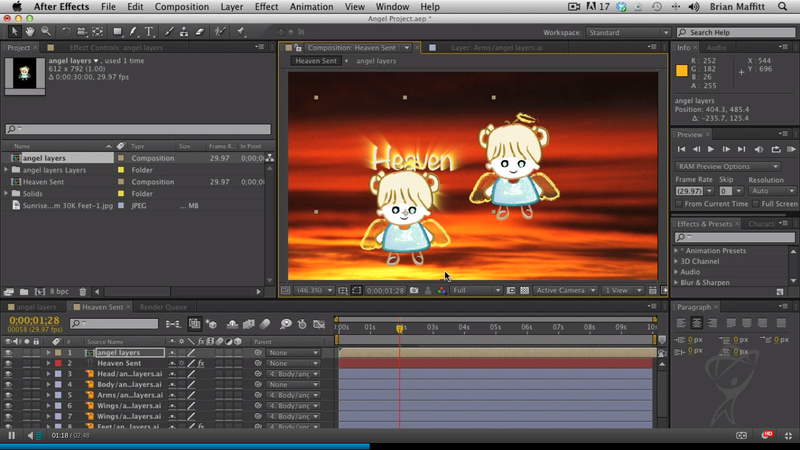 These stages of course creation include storyboarding, making video block diagrams, and in editing of video content. Authoring tools also offer a variety of templates to follow in the course creation, using which you can better organize your multimedia content. A major utility of authoring tools is that they enable custom design of the online video course. Creation of increasingly complex training solutions is facilitated by authoring tools such as Articulate Storyline, Adobe Captivate and Elucidat. Rapid E-Learning is the process of high-speed deployment of training content in response to fast-evolving training requirements. Courses produced in the Rapid E-Learning paradigm are relevant for a short period of time, and speed of course creation is therefore very important. For this particular requirement of rapid course deployment a good E-learning tool is very important. Lighting is the most critical element of the E-learning course creation process. Three-point lighting is the most commonly used method for shooting of E-learning videos. This lighting system comprises of a bright light on one side, and another more gentle light on the other side, with less brightness. This creates a more three-dimensional effect. The third light shining on the backdrop helps make you stand out from the backdrop, and to eliminate shadow. Key Light – This is the main light, placed to the side of the camera. This light is usually the strongest and influences the look of the stage the most. One side is more well lit whereas the second side has some shadow. 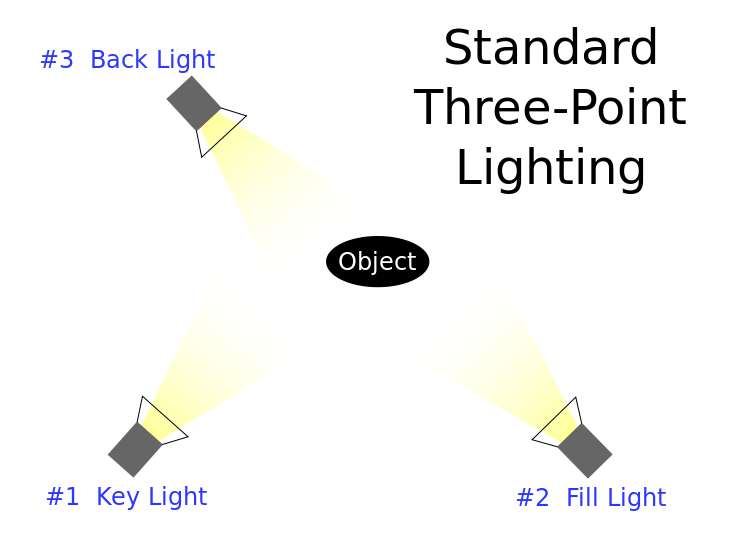 Fill Light – Secondary light, placed on the opposite side of the key light. Used to fill shadows created by the key light. This light is necessarily softer and more distant than the fill light. A reflector can be also be used in place of fill light to achieve the same softer, subtle effect. Back Light – This light is placed behind the subject, and lights the subject from the rear. Its purpose it to provide definition and highlight the subject’s outlines. This provides depth to the video, separating the subject from the background, and providing a three-dimensional look. In a four-point lighting system, a fourth light is used to lit up the background. This eliminates any shadows from the background, and also adds depth to the video. The three-dimensional effect more significantly separates the subject from the background. Every different light setting indoors or outdoors has an associated light temperature. Achieving white balance is the process of identifying the appropriate light temperature at which to do the filming in a particular location. This is useful in designing of lighting systems for shooting indoors, when you are using different indoor locations for your course video. Essentially it is the process of removing color casts, so that an object that appears white in person appears white in camera. Digital Cameras in indoor lighting can create blue, orange or green color casts, giving a white colored object these shades. White Balancing ensures that in the process of post-production they are appropriately edited out. A slate with color chart can be very useful in this. This is the process of making block diagrams of your video shooting space. Shot Designer is a a very good software used for drawing video blocks. Blocking is a concept derived from theatre, and is used to figure out the positioning of actors and props on the stage, so that the performance is never obstructed. 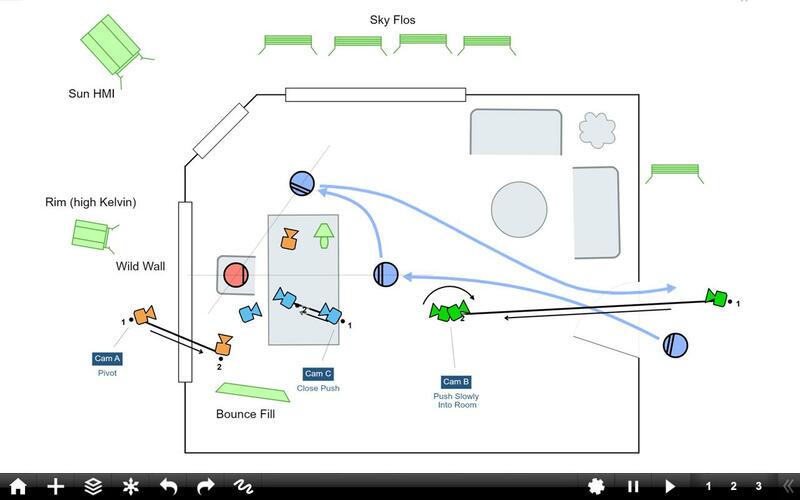 Block diagrams enable video producers to map potential obstructions on set, camera and actor movement, and lighting, to ensure that placement of all elements on the production stage is optimal. Because these details are immediately visible when the slate is placed before the video film, any shot can be uniquely identified, even when fast forwarding the video. Essentially when the video is ready for editing, editors can conveniently refer to the information recorded on the slate for easy sorting. In the absence of a production slate you may use other visual cues to identify a successful take, for example covering the camera with your hand at the end of a successful take. The production slate and the clapboard are often combined. 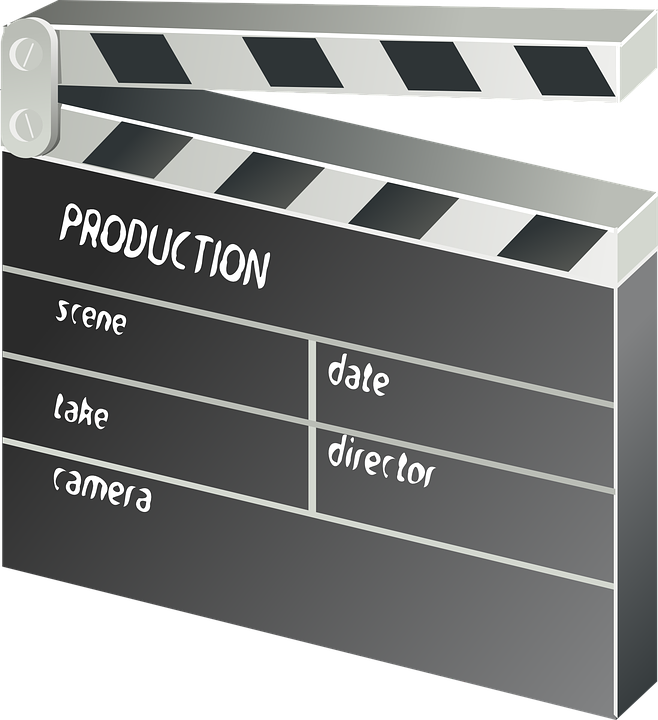 The clapboard is used primarily to sync the audio and video. This is particularly useful in the case wherein the audio mic does not feed directly to the camera, and the two streams are out of sync. During the stage of video editing, there is a large spike in audio at the point when the clapboard is shut, which can be matched to the same point in the video where the clapboard can be seen to be shut. Matching the two becomes very easy once the two time points in audio and video recording are matched. Even when the audio mic feeds directly to the camera, editing using clapboard can be used to eliminate any lag in either audio or video. Another addition to the production slates is a set of colored stripes. This is used for color grading. Using this it can be ensured that the video is color-correct, so that white, black and all other colors come out in the same color in the video as on the slate. A lapel mic placed on the inside of the shirt can be used for recording audio. 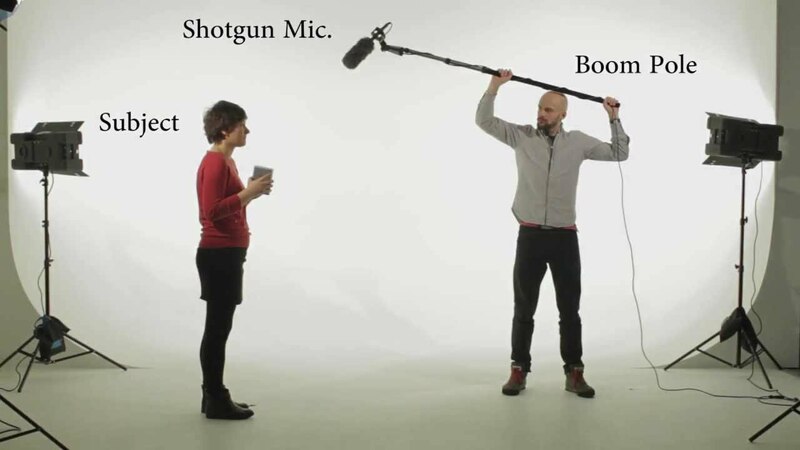 For higher quality, boom mics may be used. This mic is placed on a boom pole, which can be wired to the camera. This microphone is mostly placed over the speaker, but mostly out of frame of the shot. The microphone may be above or below the frame, but should always be placed in front of the speaker. Headphones should be connected to the microphone as well, so that the audio recorded can be monitored live, as the recording actually takes place. This is necessary for ensuring that no ambient noises sneak into the audio. Finding noises in the recording during the stage of editing and post-production is a very nasty surprise, as background noises considerably decrease the overall video quality. You can also opt for audio recording in a studio for sections of video over a screencast, or in cases of long monologues that do not require a visual performance from the presenter. There is a shift in sound quality between stage audio and studio-recorded sound, but this is not a major problem, as the gains in audio quality during audio-important sections offsets the discontinuity. Better voiceover quality in certain sections will definitely improve the overall quality of your video course. Headset vs mounted mics – Headset are better when the speaker is moving within the recording. Otherwise mounted mics offer much better quality. Ducking is a technique offered by video editing software Camtasia. This is the process of lowering volume of background track when narration is happening, and raising the volume it when there is no narration. Notching is a technique offered by the (free) audio editor Audacity. The frequencies in the background music may overlap with the those of the narrator’s voice. It is important to remove the frequencies from background music that match the majority frequencies in the voice of the narrator. This means that when narrating those frequencies are used exclusively by the narrator, and the brain does not confuse the two. Background music is mainly used to avoid audio fatigue. Screencasting is the process of recording a video of your desktop or mobile screen. The recorded video can be edited for using in your online video course. Screencasting is very useful in e-Learning courses that explain use of software tools and coding. Custom screencasting softwares such as Screenflow and Camtasia let you add voiceovers, text and animations. This makes screencasting a very powerful tool in your online video course. Screencasts are combined with subject narrating to offer variety within the video. This makes the video more engaging, and prevents it from becoming monotonous. Articulate Replay works well for integrating webcam video with the screen recording. There are more basic screencasting tools available for free. Some recommended screencasting tools are Ezvid, Screenr and Rylstim Screen Recorder. Whiteboard presentations are a great way to communicate complex concepts. A whiteboard allows an easy overview of your course content, using which you can then unpack specific elements of the online course. Whiteboards are a great way to walk the audience through complicated steps, as during the process the narrator is providing active commentary on how the problem is solved. This is a very easy to use tool, and features both the presenter and the whiteboard. With this additional element in your e-learning video, you also need to manage lighting for the whiteboard so that it is not obstructed by shadows and is uniformly lighted. For this purpose, a four-point lighting system should be used. This comprises of a key and fill light in front of the presenter, either side of the camera. These 2 lights should be at a height above the presenter, and at the same distance as the camera. The remaining two lights are to be covered by flatboards to eliminate glare, and should therefore provide uniform illumination of the whiteboard. These 2 fill lights will essentially eliminate shadows and continue the focus on the whiteboard. Whiteboard animations are videos that use the concept of the whiteboard to show the learner a series of concepts, using hand-drawn figures. Whiteboard animation essentially eliminates the physical whiteboard, to be replaced by a digital whiteboard, used by a software such VideoScribe and Adobe AfterEffects. A whiteboard animation video can be made for the duration of 30 seconds to 5 minutes, and is very useful in presenting an information-heavy message effectively.